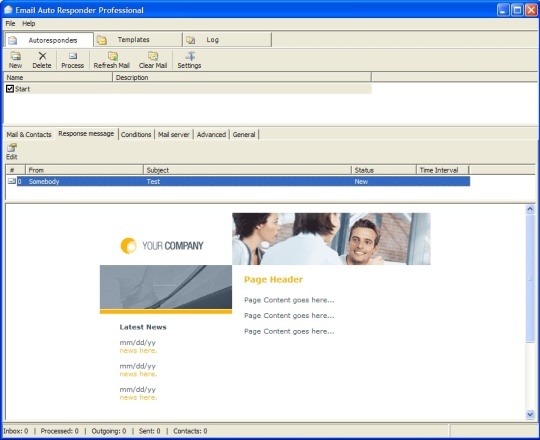 Powerful HTML Editor: Flash, Images, Attachments. Easy import/export email address list files. Imports from External Data Sources through ODBC/OLE DB: Access, MS SQL, Oracle, MySQL, Dbase, Foxpro, Paradox. Exports to Excel, Text, External Data Sources through ODBC/OLE DB. Full support for international characters. With Email Autoresponder you can send highly customized messages including personalized message bodies and subject to every recipient using the powerful Merge feature. This is the most efficient way to make contact with your clients, that will bring you the highest response rate. Make Rich Colorful HTML Messages. Our software allows you to include any fonts, graphics and colors turning your messages into professional online newsletters. You can send Flash movies embedded inside the message itself. So your message will deliver a high quality content as sound and video. File Attachment. Send attached documents and files as many as you need. 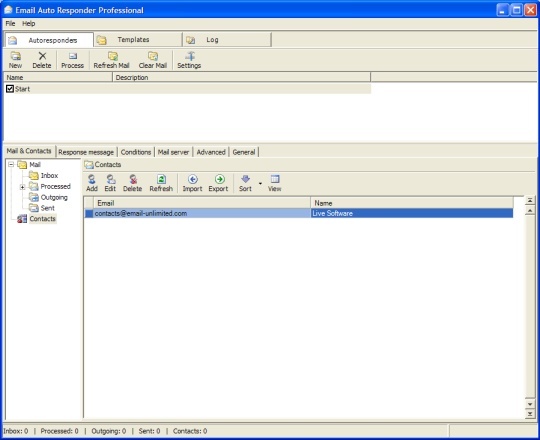 Email Autoresponder provides you with a fully featured message editor. 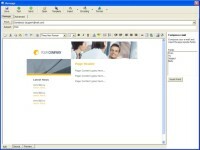 In addition to the plain text message format, there is a HTML editor. 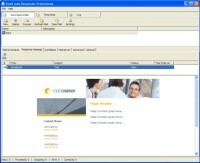 Program automatically creates a plain text message alternative while you are editing. By default recipients view HTML part of message, if their mail reader does not support HTML the message will be shown in plain text so everyone can view it. You can design your email message directly within Software, or in another program and then load it into Email Autoresponder.